Another offseason, another Dallas Cowboys wide receiver ominously discussing his status with the team - this time ahead of free agency with Cole Beasley. His impact on the Cowboys offense had been inconsistent at best under Offensive Coordinator Scott Linehan, and with the Cowboys moving in a new direction at OC, it may also be time for a new look at Cole's slot position. Beasley took to Twitter on Tuesday to discuss his role with the team and some of the behind the scenes decisions that went into each week's offensive game plan. Among his quotes, "utilization is more important than money," and, "I haven't been a huge priority in that regard (the front office pushing who they want to get the ball to)". All signs point towards Kellen Moore being the next Cowboys OC, opening up the game planning to include further input from Jason Garrett and Doug Nussmeier. "Dak friendly" was the buzz word of last year's offseason, and now after another Pro Bowl season from Prescott, the Cowboys are taking real strides to accommodate their quarterback. Former Cowboys QB Jon Kitna is also in agreement to join the coaching staff, potentially as the QB Coach if Moore is promoted. 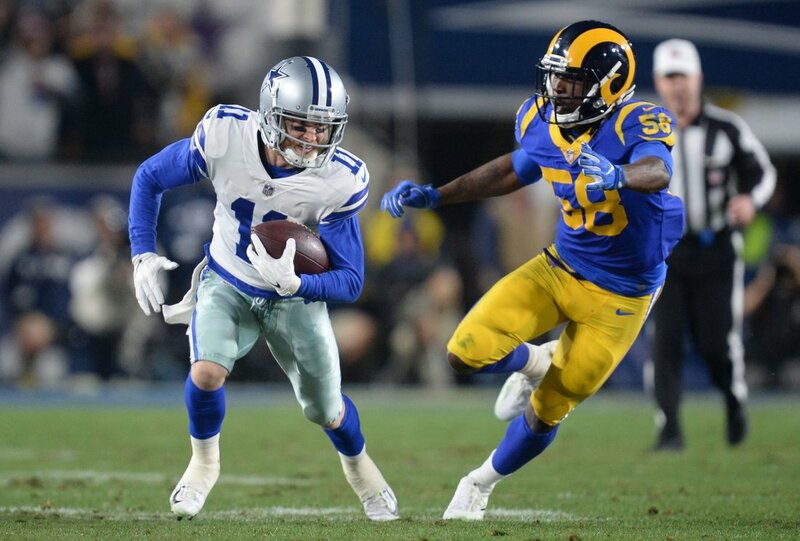 Beasley had at least five receptions in each of Prescott's first three career games, the connection between the rookie QB and reliable receiver evident. 2016 was a career high in receptions, yards, and touchdowns for Beasley. The new direction of the Cowboys offense should put a priority on the tight end in the passing game, but it was Beasley that became Prescott's security blanket as Jason Witten was to Tony Romo. A more recent example of the impact Beasley can make out of the slot came in week six this season. Exploiting a talented Jacksonville Jaguars defense, the Cowboys put up a season-high 40 points in a blowout win. Beasley had nine receptions for 101 yards and two touchdowns, just the second time he's eclipsed 100 yards in his Dallas career and seventh game with multiple scores. The offseason is a time to look at all possible upgrades, and though the Cowboys hand may be forced if Beasley departs in free agency for a better opportunity, there are more dynamic and cheaper options available in the draft. Options already on the roster include second-year player Cedrick Wilson, futures contract addition Devin Smith, and practice squad receiver Lance Lenoir. Even still, electric players like Andy Isabella have become early fan favorites in the draft. Out of UMASS, Isabella is at the Senior Bowl this week, making quick work of defensive backs with tight footwork and effortless separation ability. Chris Hogan, Adam Humphries, and Jordan Matthews are potential free agency targets for the Cowboys at this position as well. With Amari Cooper and Michael Gallup tabbed to start on the outside again next season, the Cowboys shouldn't be done looking for depth at wide receiver, but have a decision to make on if they'll be players for a new starter in the slot. Paying a premier price for a player expected to exceed the production of Beasley, who puts up numbers whenever given the chance to, would at least give a sense of direction to the Cowboys offense in 2019. Without Linehan's input on whether Beasley is retained or not though, Cowboys Nation is no closer to knowing if he'll be a part of the offense or not moving forward. Just one of the major personnel decisions that could come down in the next months, along with a contract extension for Prescott, Ezekiel Elliott, and DeMarcus Lawrence, Stephen Jones has promised a "busy" offseason and Beasley's helped assure this by stirring things up on social media. Tell us what you think about "Placing Value on Cowboys Slot Receiver Position this Offseason" in the comments below. You can also email me at Sean.Martin@InsideTheStar.com, or Tweet to me at @SeanMartinNFL!